Dirty mattress: Is there something scary in your bed? Sleeping on a dirty mattress can cause nightmares. Not the ones that occur while you’re sleeping but rather, a living nightmare directly affecting your health. We spend a lot of time sleeping and during those resting hours, we shed dead skin cells and sweat out approximately 500mls of perspiration. Your mattress is collecting skin cells and sweat together with dust and even mould – that is, if you are not regularly cleaning your mattress. Is your asthma playing up again? Are you unable to get rid of that nasty tickle in your throat or your red eyes? It might be because your bed is old and you are sleeping on a dirty mattress. There is a direct link between people suffering bad allergies or asthma problems and sleeping on a dirty mattress. Dust mites feed off dead skin cells, which means that your dirty mattress (layered with dead skin cells) is the ideal home for these tiny creatures – and their droppings contain a protein that is an allergen which sets off asthma. Many studies have been conducted on the subject of how a dirty mattress and ill health happen to connect. It has been shown that there are some nasty germs that reside in your resting place – the likes of Staphylococcus aureus and Pseudomonas aeruginosa, which are contaminants that trigger sickness and diarrhoea. Even hospitals have been under the proverbial microscope as mattresses and bedding have been cited as being part and parcel of the cause of hospital-acquired infections. You can read more about hospitals and mattress cleaning here. Preventing dirty mattress nightmares is, thankfully, not a complicated process. Professional cleaning specialists suggest that mattresses are regularly vacuumed so as to remove the build-up of dead skin cells, the infestation of dust mites and any other organisms that have made their home in your mattress. These include mould and if you have animals, fleas – all of which are a health hazard. Furthermore, it is advisable to have all your mattresses deep-cleaned on an annual basis. This is the only way to tackle the dirt and organisms that have burrowed below the surface of the mattress. Mattress cleaning might sound like a hassle, but a professional service provider should offer both a dry or wet extraction option. In other words, if you need to use your mattress right away you can have it cleaned via a dry powder method or if you are able to wait out the process, you can opt for the wet extraction method. The Specialists can sort out any dirty mattress quite successfully through our UV-C mattress cleaning services. The UV-C light will eradicate all dust mites, mould and bacteria. 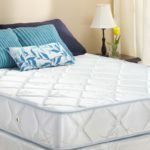 It is a simple three-step process that includes sterilising the mattress via ultra-violet light, an extraction process which involves the use of a powerful vacuum that loosens and draws out all dust and dirt particles and then an anti-allergen treatment which is environmentally friendly and which neutralises the protein in the allergens. To find out more about professional mattress cleaning services that will preserve your mattresses and make for a healthier sleep environment, please contact one of our branches closest to you.